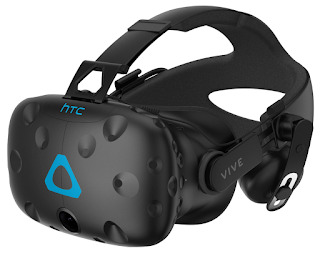 HTC Corporation ("HTC"), a pioneer in innovative, smart technologies, has today announced Vive Business Edition ("Vive BE") to capture the huge demand from industries worldwide to employ virtual reality technology in commercial applications. Available from today, Vive BE allows individuals and organizations to order Vive VR systems with additional services adapted for business and commercial environments. Alongside the full Vive VR system, Vive BE comes with commercial licensing and a 12-month limited warranty. Businesses will be able to buy multiple Vive BE systems, with the option to order large quantities. The announcement of Vive BE builds on HTC's existing network of commercial partners, spanning a wide range of industries from Automotive to Medical to Design. Vive helps to provide customers from all industries with premium virtual reality experiences that offer unlimited perspectives to inspire product ideation and creation. Vive is the only end-to-end VR platform capable of delivering room-scale technology, with the feature being readily adopted for use in the commercial space.